Look at that handsome cat–doesn’t he look heroic? Where is he going? Why does he have a grappling hook? Now you can read my book and find out! 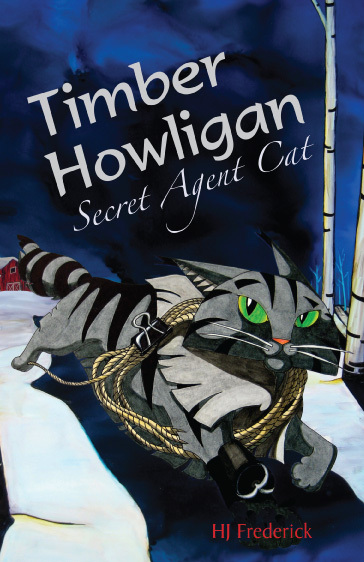 Timber Howligan Secret Agent Cat is available today from Amazon, iBooks, and Nook. Buy Timber Howligan Secret Agent Cat. Find out how I save the day. Become an Alley Cat Ally. Now available: The Epub! If you have already bought the book, the ebook is yours if you want it. If you prefer a Kindle version, Amazon should have that for you for free if you’ve already purchased the book. If you are lucky enough to have stumbled on this first, great. Consider donating to Alley Cat Allies here.